I know baseball isn't the most talked about here with basketball being number 1 and football on the up and up. Baseball is my favorite sport especially college and i'm hoping the vols start to turn it around this year. It's been so cringe-inducing that I've tried to ignore the fact that we even have a baseball team. Pumpkin King is looking at investing in the program, so maybe he can pull us out of the hole. I've been dying for a reason to make a game for years now, but the product on the field hasn't been worth the effort. Hoping that changes in a big way starting this season. The Tennessee Baseball and Women's Basketball team will keep their head coaches for years to come since the Athletic Department is in the red right now. I actually think Vitello knows what he is doing. We looked like a gd high school JV team the last decade. We had guys starting that were like 5'6 155 lbs with infield power and zero pitchers that could git 90 mph. They went 27-25 last year but 7-21 in the SEC. They need to figure out how to get to 12-13 wins in the SEC to make the tournament. I hope you're right because I would give anything for the BaseVols to get back to the level they were in the Mid 1990s-early 2000s. It looks like they figured out how to navigate the midweek games the last few years even under Serrano (still have no idea how that didn't work). We actually have pitching depth now I think that should help over the course of the season. I would look for huge improvements from Chase Wallace, Zach Liginfelter, Garrett Stallings, Garrett Crochet and Sean Hunley. Will Neely is a sr and was solid last season as well. Hopefully a few freshman pitchers can help as well. Seem to be returning alot of the guys but i dont follow too closely, I hate the fact they put turf in at Lindsey Nelson, its no Alex Box but I enjoyed it last time I made a trip to Rocky Top. I love when LSU plays Tennessee so I can watch my two favorites play and cant wait till the basketball game on the 23rd. They put in turf at Lindsey Nelson? frick I had no clue lol. Fulmer said they are trying to find ways to make the stadium more useful for the community/camps, etc. Basically, they can use it a lot more if they aren't worried about grass. Whatever. I hate turf in sports, I hate Vanderbilts turf and when I saw it installed at LNS I wasnt happy, but I guess there is good reason behind it. I always preferred playing on natural grass over turf but thats just me. 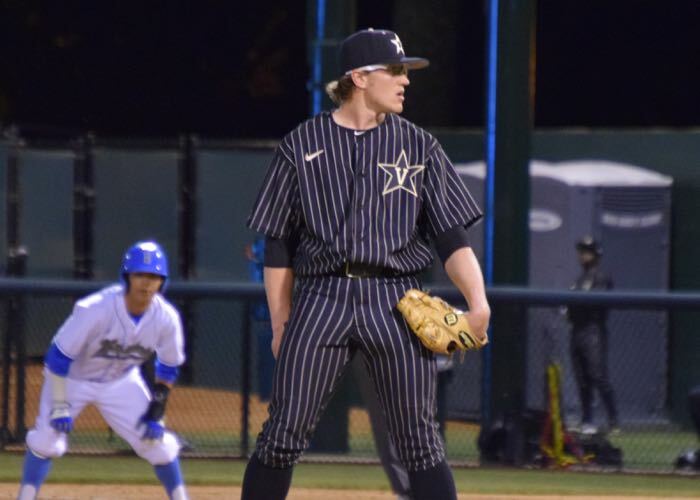 Speaking of Vanderbilt, what is up with those ugly as sin all black pinstripe unis? I know they have had them for a while but my God they are terrible, colored pants shouldnt even be allowed in T-ball much less major college baseball. I hate Vanderbilt baseball with passion. I'm excited for this season. I think Vitello will be good for us. For those who weren't aware, the Vols had more underclassmen on their roster last season than any other P5 program (79% of roster were underclassmen). Go Vols, and play ball. Don't pretend y'all don't like good baseball. Awesome start to the season with a sweep!